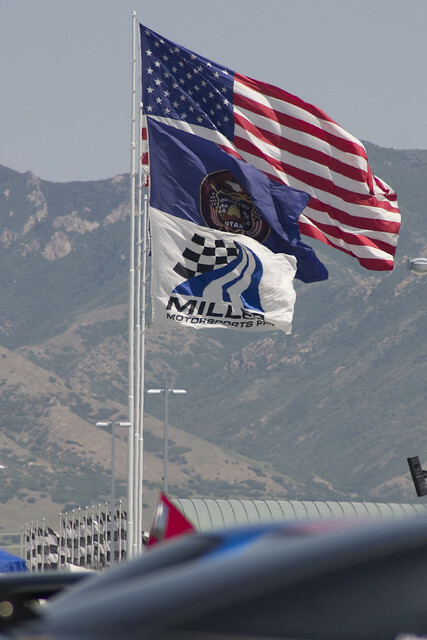 We’ve got a schedule for the rest of the iDrift at Miller Motorsports Park events this year! The guys at D-Spare recently updated their look for the 2012 season. They asked us to grab some pics and a video and this is what we came back with. It’s still mostly the same car. It’s still packing a Toyota 1JZ engine, and it still has the widebody kit on it. What you don’t see until they remove the deck lid or pop the hood is all the custom fabrication they did in the off season. They gutted the trunk and did a tubular front end. This work resulted in a 3rd place finish at Vegas ProAm round 2. We will be out at the Vegas Pro-Am event in June snapping shots of this car and others. Thanks to Brandon and Jose.